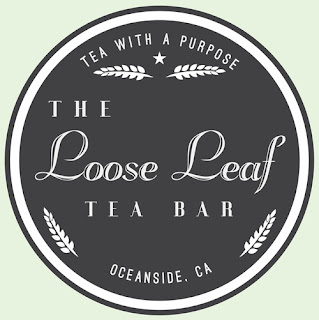 After coming across a recent Go Fund Me project, we decided to highlight Meghan and Cheyne of The Loose Leaf tea company in San Diego. After hearing from them, I hope you are inspired and enthused to rejuvenate your business, your health, and learn to slow down, relax...and enjoy a cup of tea. Since 2008 The Loose Leaf has been selling wonderful tea blends with a purpose, specializing in loose leaf varieties made from organic, fair-trade teas, herbs, and spices. Meghan is a Master Herbalist with a certificate in herbal medicine. She started making a variety of tea blends while working with a health clinic focused on holistic medicine as their primary practice. She eventually decided to focus all her efforts into her teas and birthed The Loose Leaf. As of now, you can find the products currently selling at 15 farmers markets every week throughout San Diego and Orange County, all four Whole Foods in San Diego, and wholesale accounts scattered across Southern California. When starting The Loose Leaf, did you anticipate what challenges or competition you might face? What tools were needed to overcome these challenges? 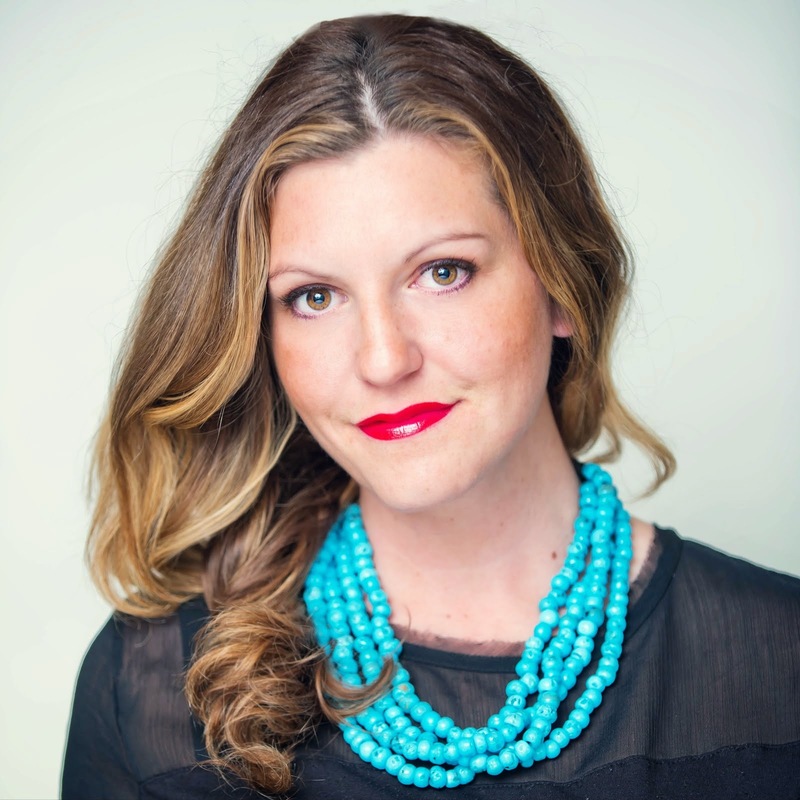 (Meghan) I think as a business owner you are always anticipating challenges. The challenge is what puts us here, it's what keeps us striving to be better, so I don't think that really ever changes. You tackle one challenge and you move to the next! To be honest, when overcoming each challenge, it's one foot in front of the other, and staying humble. We deal with daily competition, and we have encountered unpleasant competitors, however the tool for me is to stay focused. It's easy to get upset, possibly feel defeated or the undeniable self doubt, but what's important to remember is that none of those things will grow your business. "It's easy to get upset, possibly feel defeated... but none of those things will grow your business." How do you set yourselves apart from any other tea company, like Teavana? 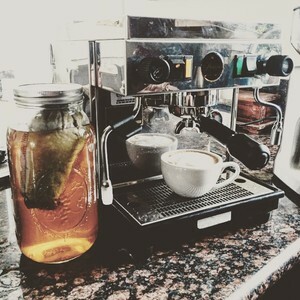 (Meghan) I believe what sets us apart from other tea companies is our medicinal approach. Our main focus is health and we love that we can present this through herbs and tea. With that said we use only organic, fair trade and non GMO herbs and teas. The majority of our tea blends would be considered "tisanes" (herbal teas). We have a huge focus on tea with a purpose. Some of our main ones being detox, weight loss, insomnia, pain, inflammation, digestion and energy, to name a few. Being able to blend herbs together, decoct them and get amazing results from our consumers is what sets us apart from companies selling more mainstream tea varieties. Selling directly to consumers (at farmers markets) definitely gives us an advantage. We are able to provide them with testimonials, answer questions and provide them with ready to drink samples. It gives the customer a more intimate and personal experience, which then results in an ongoing relationship. We are able to have actual relationships with our customers, showing them that we really care. That's not something you can get at the mall. How do you target your marketing approach to attract both locals and far off fans? Do you offer online orders or do you purely invest your efforts in local commerce? (Cheyne) The great part about Farmers Markets is they attract both the local community and visiting tourists. Local customers often become repeat customers who come to purchase from us weekly to biweekly. Many of our customers passing through on vacation have potential to become repeat customers through our online store. We do our best to make sure that all customers who buy products at markets become aware of our online store. We have found that Instagram and Facebook can definitely drive our online sales, so we try to stay on top of things by making consistent posts on our products and presence at markets. 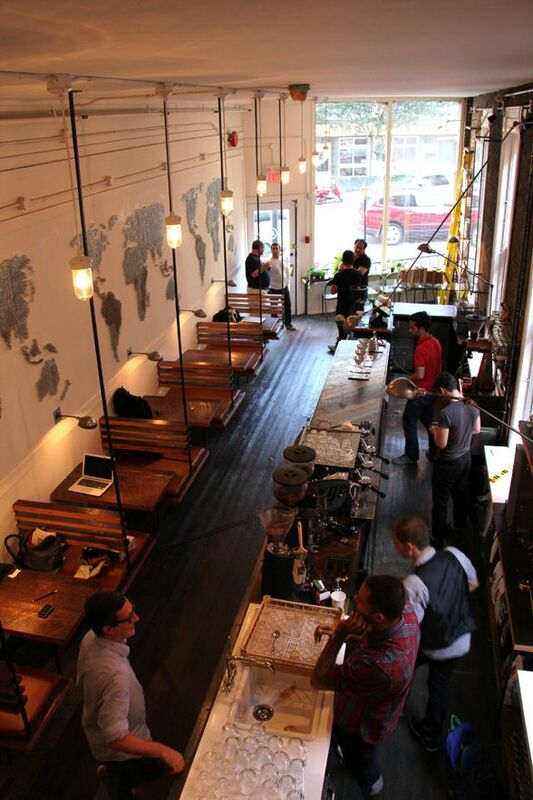 With the new Loose Leaf Tea and coffee shop underway, how do you expect business to change and grow? How have you become a part of the Oceanside community? (Cheyne) Honestly, we have no idea what to expect with the new storefront. I grew up in Oceanside near the downtown area. It's definitely not the same place it was when I was younger, which is probably for the better. I've been involved in many different facets in the community from supporting and running youth programs as a young adult to my involvement in the local music scene as a musician (drummer) for several bands around town. All that to say I've always managed to stay plugged in with various people within the community. I've always supported local business and have always offered any way I could help to support my friends and local business owners. I think these relationships are really going to add to make our new storefront a success. People around the city and many local businesses know me, have grown up with me, or have watched me grow up, and they have been nothing but supportive of our vision and purpose. Rad times are ahead for Oceanside! The dynamic is changing and the tone is really being set for a new era. More than anything, we're just grateful that we get to take part in the future culture of the town we love so much. 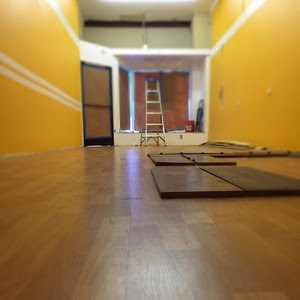 The storefront is definitely going to be a growing point for us. We've been strictly a tea company, but with the opening of our store we will be expanding into the world of craft coffee as well. 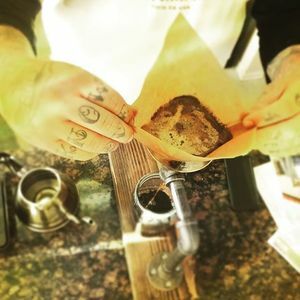 Our focus will still be tea, undoubtedly, but we're excited to add some great coffee products to our menu using organic locally roasted coffee beans. "Rad times are ahead for Oceanside!" Do you incorporate "giving back" into your business model? Is this something you strive for in the future? (Cheyne) We donate a lot of our products to charities and fundraising events throughout the year. With the opening of our store this will be an area near and dear to our hearts to contribute back to our city as well. I don't really know what that looks like just yet, but I'm confident we'll build some great relationships and find ways that make sense. 1. People these days are turning their efforts inward. Buying food and products that are made locally, sourced responsibly, and produced ethically is becoming a HUGE shift in consumerism. Building and maintaining relationships with your customers gives them a sense of safety and reliability in what they purchase, and therefore they will be more inclined to purchase your products more regularly and recommend them to others. 2. Always put a face with your products or brand. Even if you can't personally meet each and every person who visits your website or purchases a product, see where you can add a little personality or bio information so that people understand where their products are coming from, and what you do to support a healthy market. 3. Think. Grow. Develop. (a) Think about the market in which your product exists. Can it be expanded beyond what you're currently doing? For example, The Loose Leaf sells tea that people take home to make...and now they're creating a place where the tea is made fresh to order! (b) Take that information, and run with it! Growing your business can be fun and exciting, and although scary at times, the risk will come with a payoff if you've been thoughtful and humble in your expansion. (c) Develop relationships with your community. Whether that's online, in-person, or a seasonal traveling marketplace, build yourself a reputation as a responsible and integrative part of it. Help them GROW! Oceanside, here is your chance to open your arms to the newest storefront in town. The Loose Leaf Tea bar is accepting donations towards their new endeavor, and are thankful for any and all contributions! Go to their "Go Fund Me" page here. As always, email me if you would like to be featured on the Small Business Spotlight, or if you have any other questions regarding this post. A huge shout out to Cheyne and Meghan for being a part of our interview series!